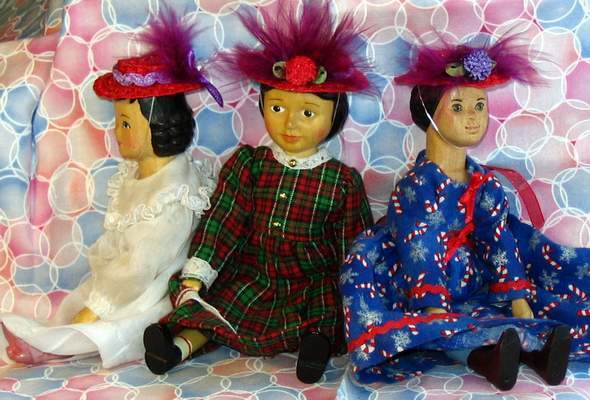 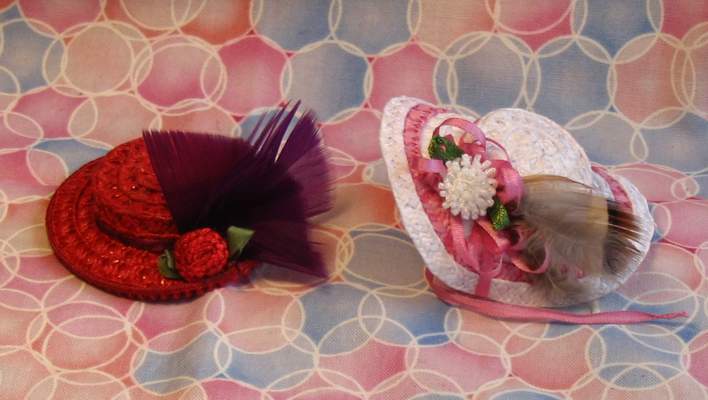 I hope you enjoy looking at the original Hitty hats created here in the Studios! 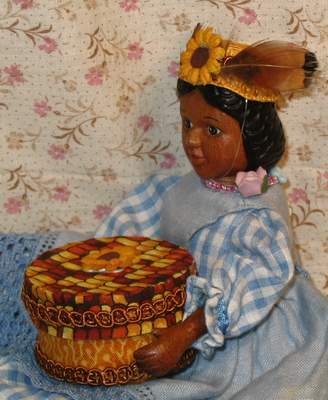 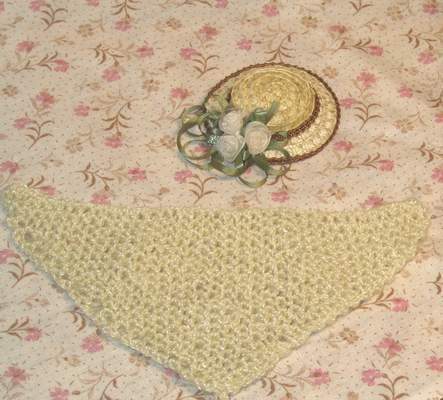 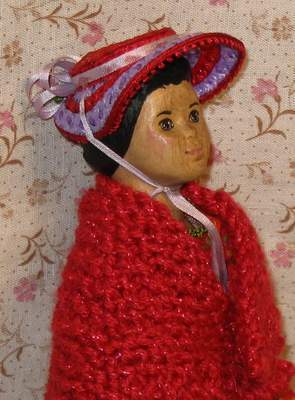 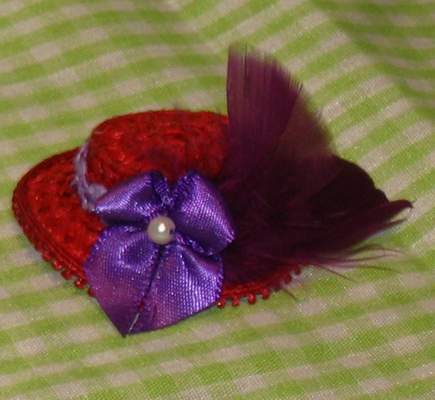 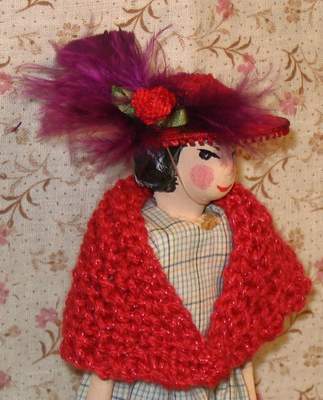 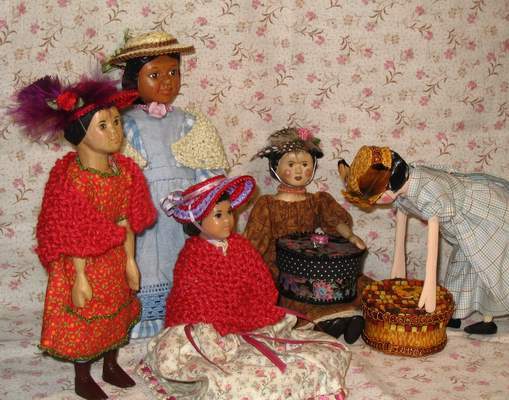 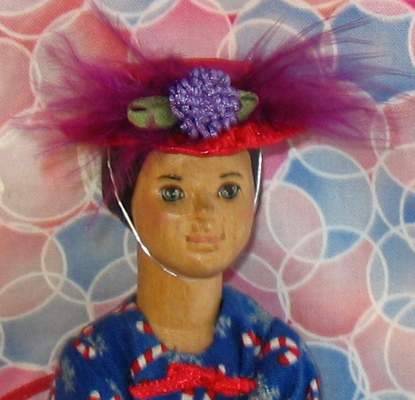 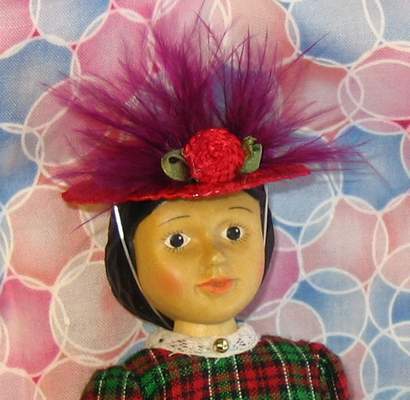 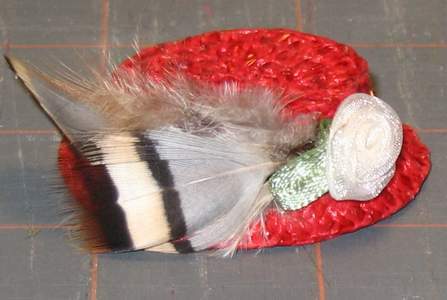 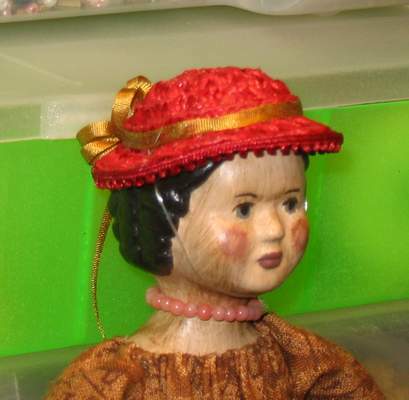 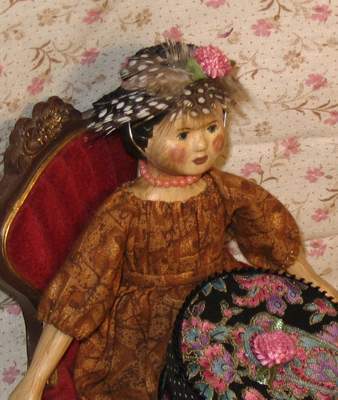 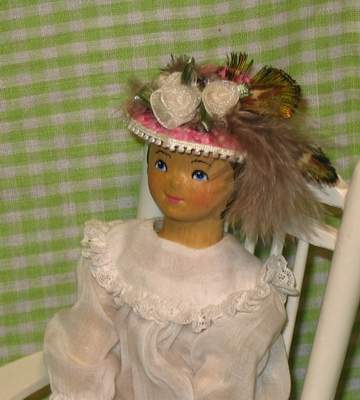 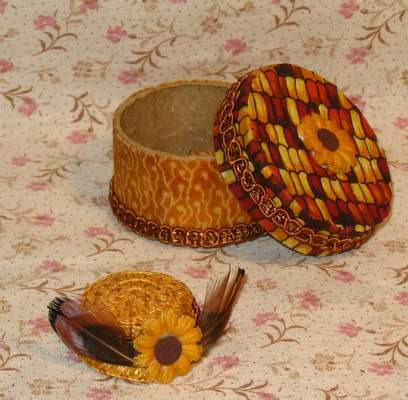 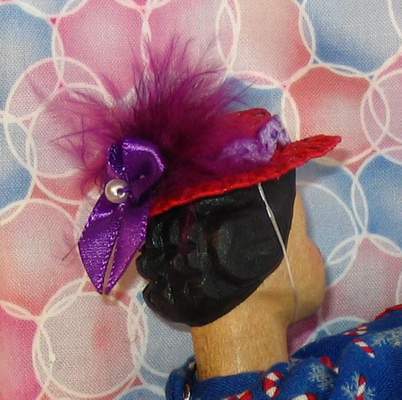 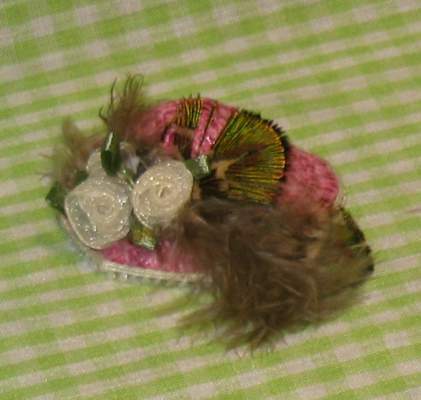 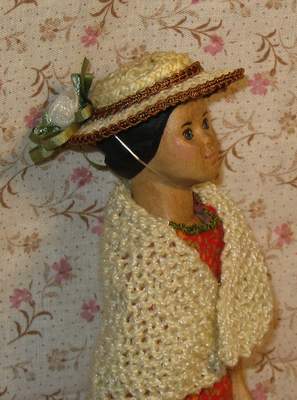 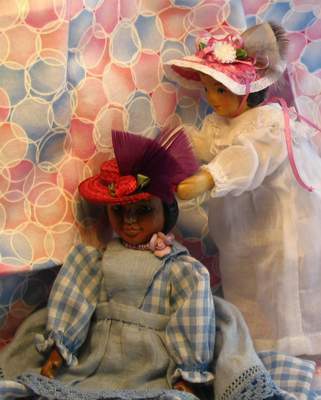 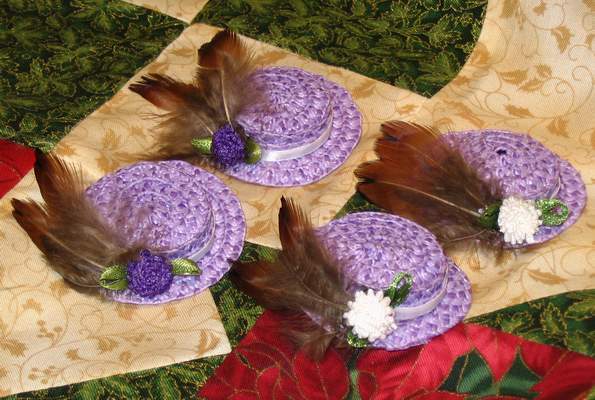 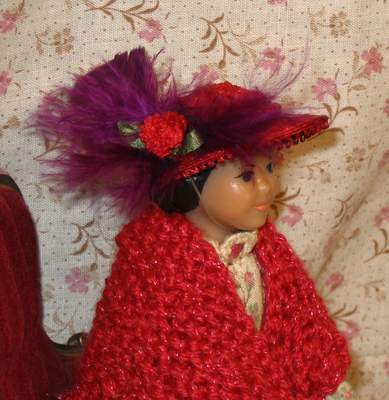 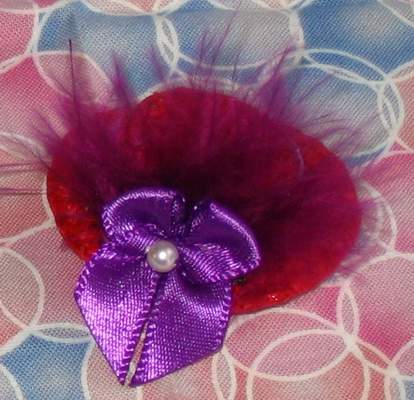 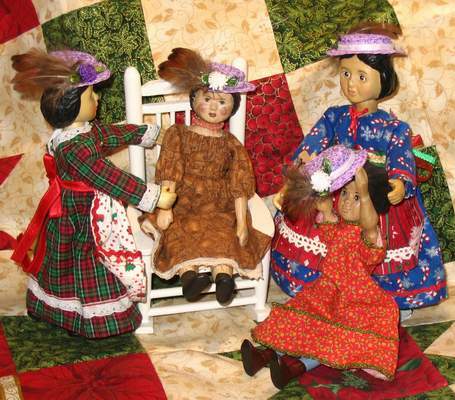 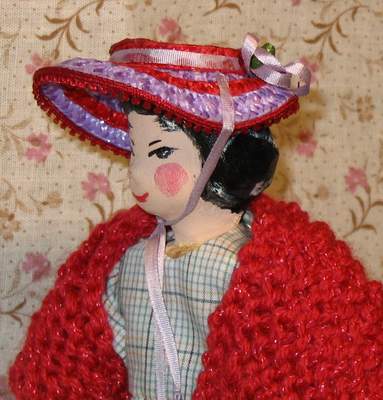 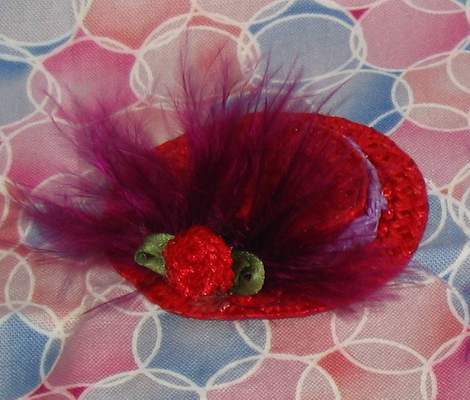 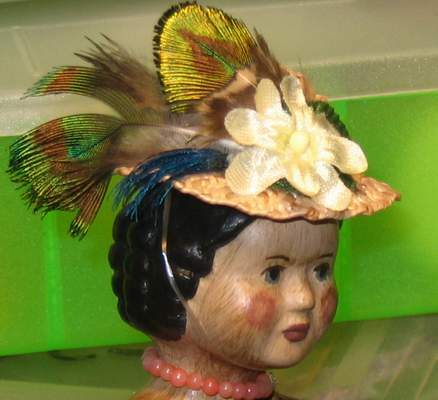 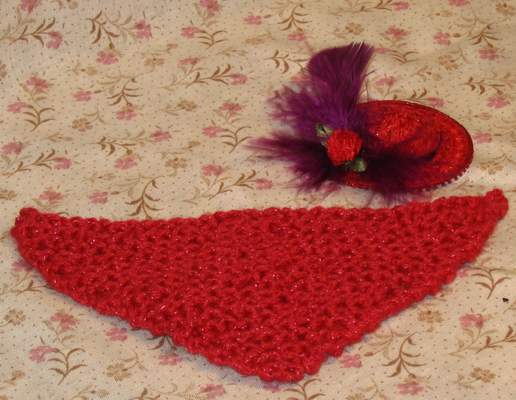 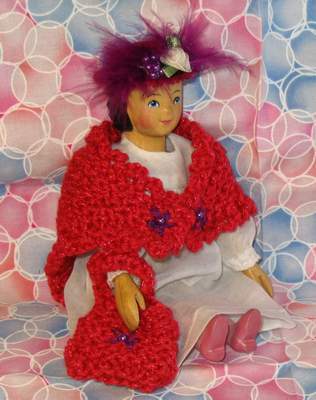 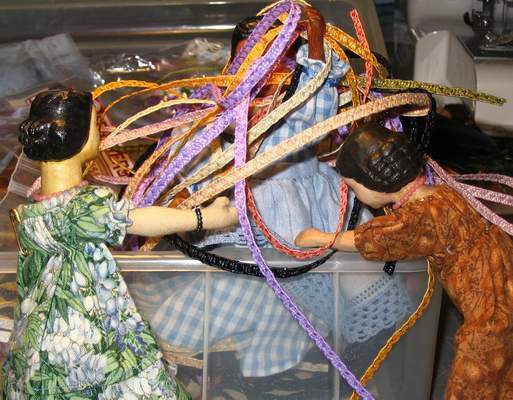 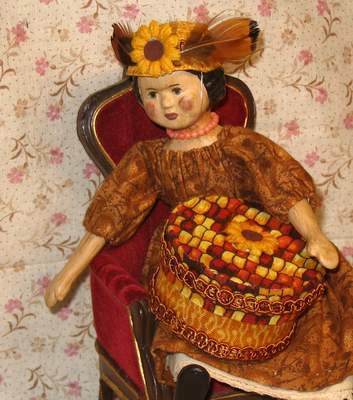 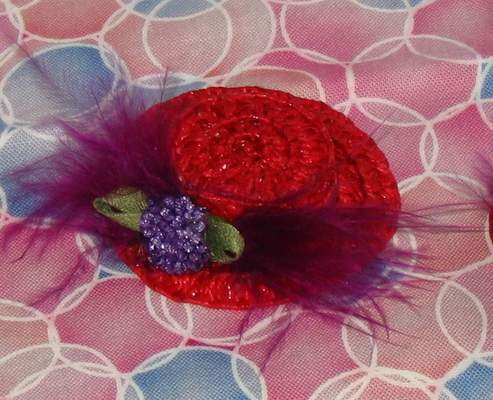 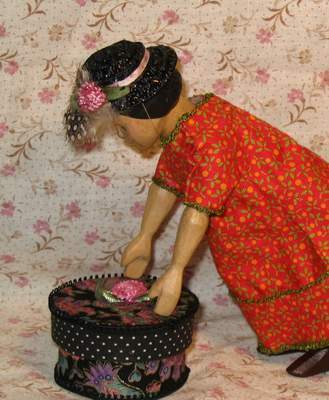 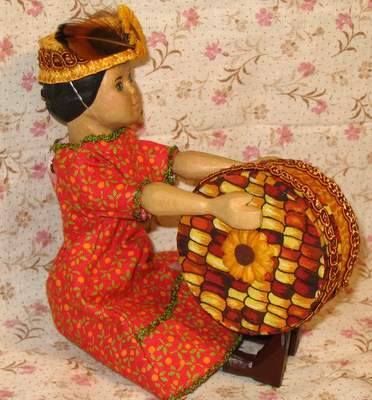 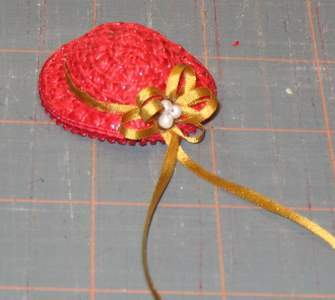 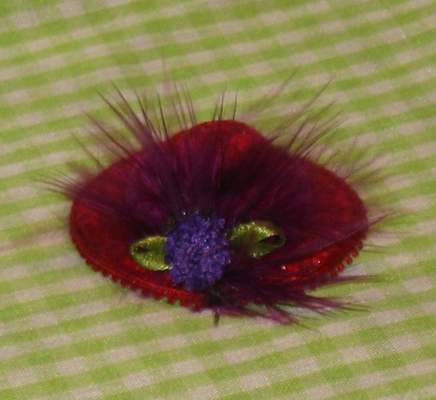 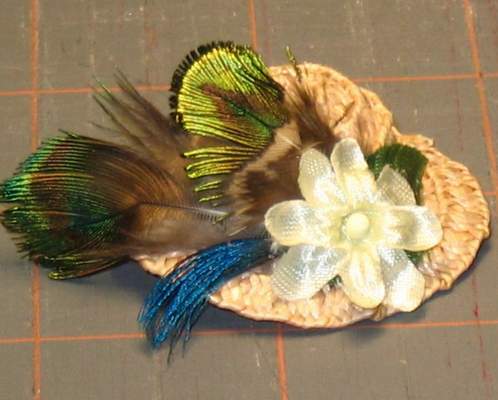 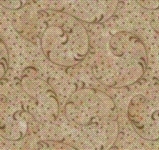 They are all handmade from hat straw, and various trims such as lace, silk ribbon, feathers, beads, etc. 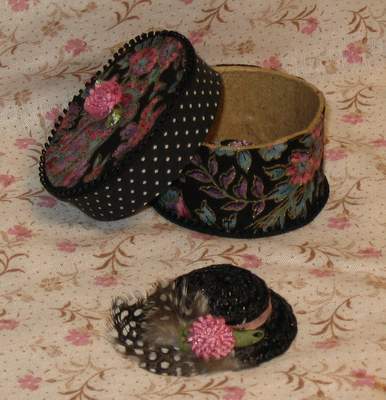 These two hats were sent to Margie as Helpers for the Bavarian Hitty Gathering.